The Nordlándda KAL is in full swing over on The Fibre Company Ravelry group, and everyone is doing a fantastic job of working their way through all the cables! But it also seemed like a good time to publish a tutorial on cabling without a cable needle, as that's how I knit all the samples. While is sounds intimidating, the technique isn't all that difficult - it just takes a bit of patience and practice! My handspun BFL wound up and ready to cast on for the KAL! 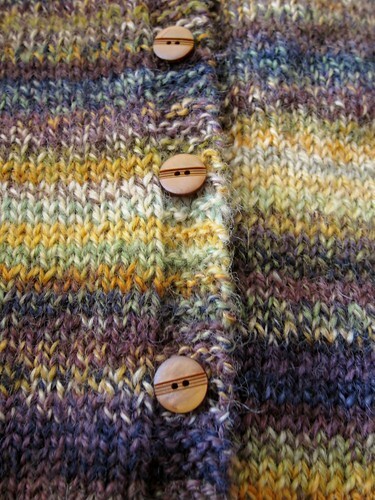 Cables are a wonderfully satisfying thing to knit – all those twists and turns! – but sometimes they’re just more fiddly than seems worth it. There’s that cable needle that you need to find before you start, and that thing is hard to keep track of, particularly when your cables aren’t worked very often. The good news is that for many cables you don’t need to use a cable needle; most 2-, 4- and even 5- or 6-stitch cables can be done without a cable needle. This cable is worked over four stitches, with the first two stitches crossed over (in front of) the second two stitches, resulting in a band that leans to the left. If working with a cable needle, the instructions for this cable read: slide next 2 stitches to cable needle and hold to front of work, k2, k2 from cable needle. In other words, you’re moving the first two stitches of the cable to the front of your fabric and knitting the next two stitches before going back to the original first two stitches of the cable, creating a left-leaning cross. To work a 2/2 RC (right cross) cable, the instructions would read: slide next 2 stitches to cable needle and hold to back of work, k2, k2 from cable needle. This results in crossing the first two stitches behind the second two stitches, creating right-leaning cross. Let’s use an easier cable for our first attempt: the 1/1 RC, a two stitch cable in which the first stitch is crossed behind the second stitch. Step 1: Work to where the cable is situated. Slide the tip of the right (or working) needle through the second stitch on the left (non-working) needle from the front of the work. Please excuse the plaster - I had a run in with a cheese grater. 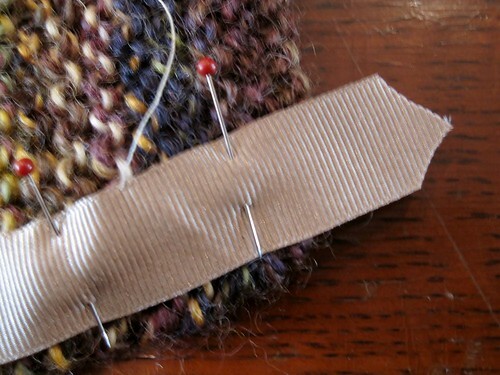 Step 2: Take a deep breath and slide both of the stitches in the cable off the left needle, being careful to gently trap the free stitch against the working needle with your forefinger. 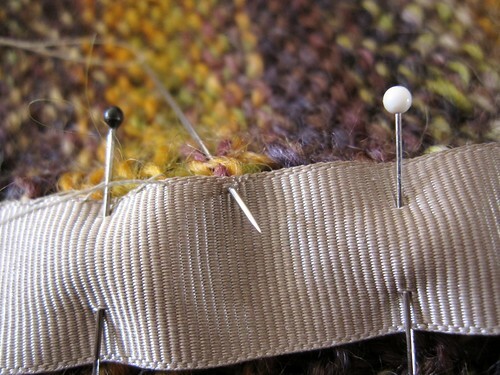 Step 3: move the tip of the left needle back behind the fabric and catch the free stitch, effectively crossing it behind the fabric, then slip the first stitch on the right needle back to the left needle. 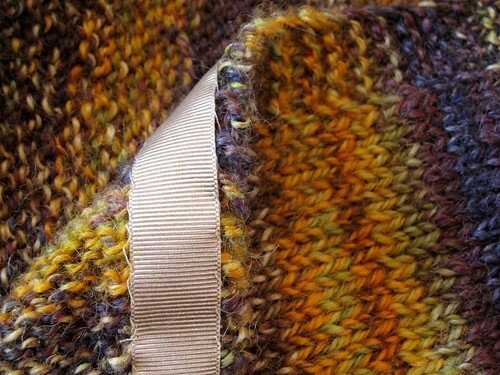 Now work the stitches as required (for this example both stitches are knit). Voila! You’ve just worked a cable without a cable needle! Now let’s try a 1/1 LC: this is worked just like the 1/1 RC, but from the opposite side of the work. Step 1: Work to the cable and slide the tip of the right needle through the second stitch on the left needle from the back of the work. Step 2: Carefully slip both stitches off the left needle, trapping the free stitch against the right needle with your thumb. before returning both stitches to the left needle and working as required. That’s it. Now let’s try something a bit more complicated: a 2/2 RC. 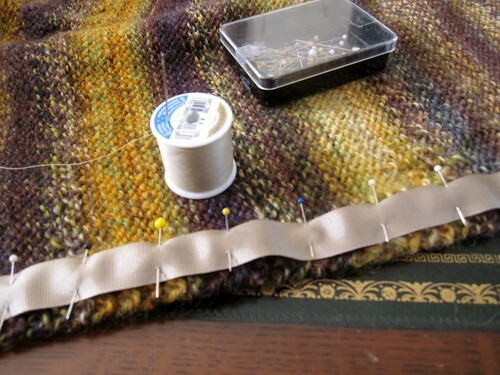 Step 1: Work to the site of the cable and slide the tip of the right needle through the third and fourth stitches on the left needle from the front of the fabric. Step 2: Carefully slide all 4 cable stitches off the needle, trapping the free stitches against the needle with your right forefinger. 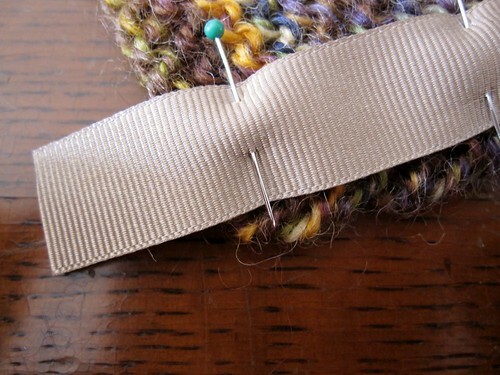 Step 3: Swing the tip of the left needle behind the work and rescue those free stitches, crossing them behind the work. 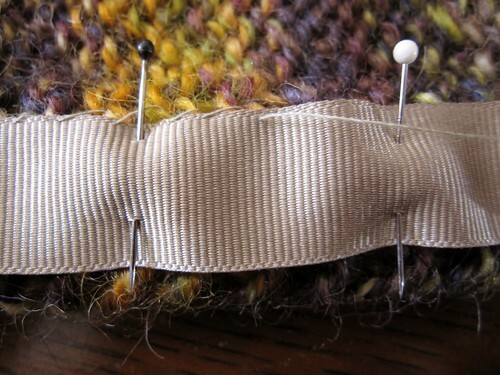 Step 4: Return the first two stitches on the right needle (originally the third and fourth stitches of the cable) to the left hand needle and worked as indicated. To work a 2/2 LC, the procedure is just the same, but you pick up the third and fourth stitches on the left needle from the back instead of the front, and cross the stitches the opposite way. I hope you can see that simple cables can be worked without a cable needle fairly easily. But what about more complicated cables, like those dreaded 2/1/2 versions where you slide 2 stitches to one cable needle on one side of the work, the next stitch to another cable needle on the other side of the work, and then k2, p1 from second cable needle, k2 from first cable needle? You can still work these without the cable needle(s), but they are a bit trickier. 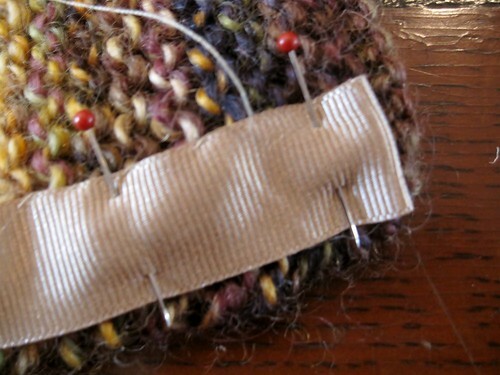 Step 1: Work to cable – there should be five stitches for this cable in total, presenting as two knit stitches, one purl stitch, and two knit stitches. Slide the tip of the left needle through stiches 3, 4 and 5 (purl stitch and last two knit stitches) from the front of the work. Step 2: Slide all five stitches of the cable off the left needle, trapping the two free stitches against the right needle with your forefinger. Step 3: Insert the tip of the left needle through the two free stitches and cross them behind the three remaining cable stitches. Step 4: Now insert the tip of the left needle into the purl stitch from the back of the work and slide the purl stitch and two knit stitches off the right needle, trapping those free knit stitches against the left needle. Step 5: Insert the tip of the right needle through those two free stitches, crossing them over the rest of the cable, and return them to the left hand needle. You’ll now work k2, p1, k2, but because the order of the stitches on the needle has been rearranged, you’ll end up with a lovely cable cross, performed entirely without cable needles! The key things to remember when doing cables without a cable needle for the first few times are to take it slow and relax – those free stitches won’t go anywhere unless a sudden movement or sharp tug makes them get scared and run away. Don’t rush and don’t panic, and before you know it you’ll be whizzing through your cable projects at enviable speed, with many fewer lost cable needles!